If your home in Omaha, Nebraska, sustained damage in a recent hailstorm or tornado, the last thing you want to do is deal with a grueling repair process. Fortunately, the storm damage restoration experts at Elite Exteriors can guide you through the entire repair process and help you restore your home to pre-damage condition. For more than two decades, we’ve been helping homeowners in Omaha and surrounding cities get back on their feet after their homes have sustained damage from tornadoes, hailstorms, windstorms, and more. 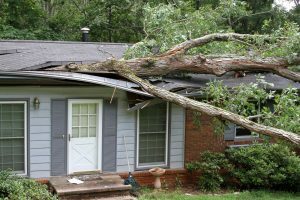 Our storm damage restoration specialists are qualified to complete the repairs that are needed to get your home back into good working order, and, if the damage you’ve sustained is severe enough to warrant an insurance claim, we will be happy to offer expert advice to guide you through the claims process. Our specialists are trained to notice damage that the insurance adjusters sometimes overlook, so when you partner with us for storm damage restoration, you can be confident that you are in capable hands. You’ve weathered the storm, now let our trusted professionals help you pick up the pieces. To learn more about the storm damage restoration services that we offer to homeowners in Omaha and other nearby cities, contact Elite Exteriors today.